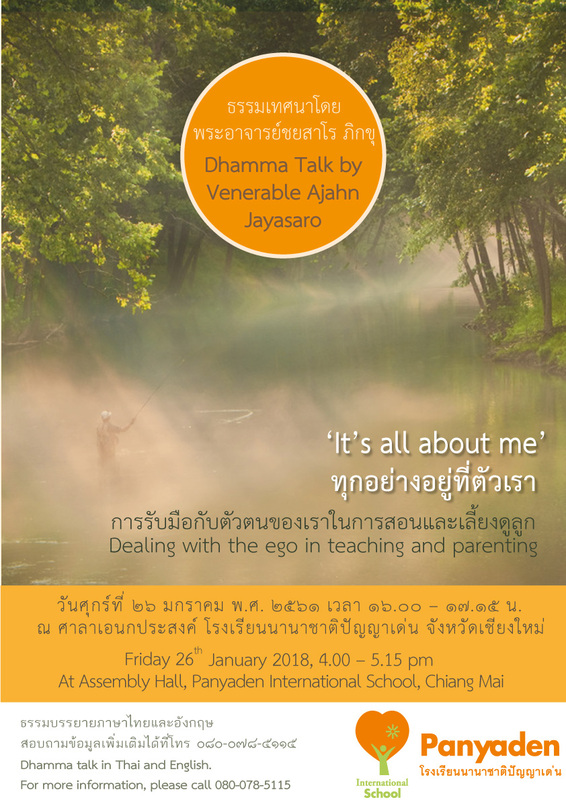 You are cordially invited to a dhamma talk by well-known British-born forest monk, Venerable Ajahn Jayasaro at Panyaden, Friday 26 January 2018, 4pm-5.15pm. All are welcome! The talk will be conducted in both English and Thai. For more information, please call 080-078-5115. Click here for the Google map to Panyaden International School in Hang Dong. This entry was posted in Featured Posts, Upcoming Activities and tagged Panyaden Dhamma Talk, Venerable Ajahn Jayasaro.